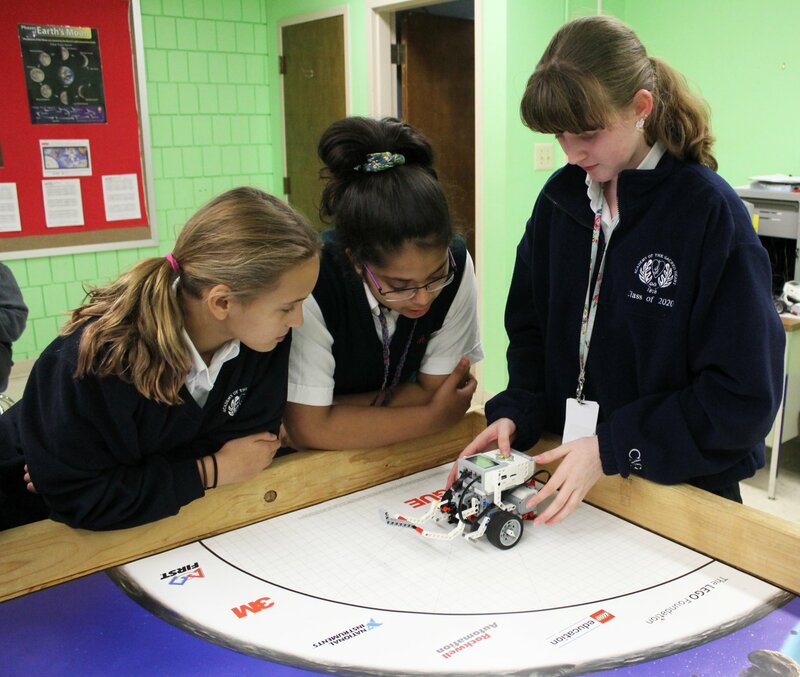 The Academy’s three robotics teams have been hard at work preparing for the First Lego League Robotics Tournament to be held on Saturday, Dec. 1 at Christian High School. 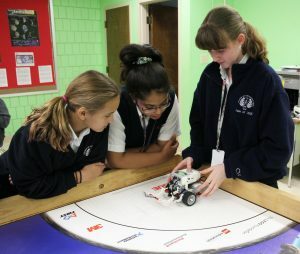 The Academy teams consist of Fifth through Seventh Class students that meet after school to use their creativity and showcase their talents in STEM. In preparation for the tournament, the students focus on the three components of the competition. 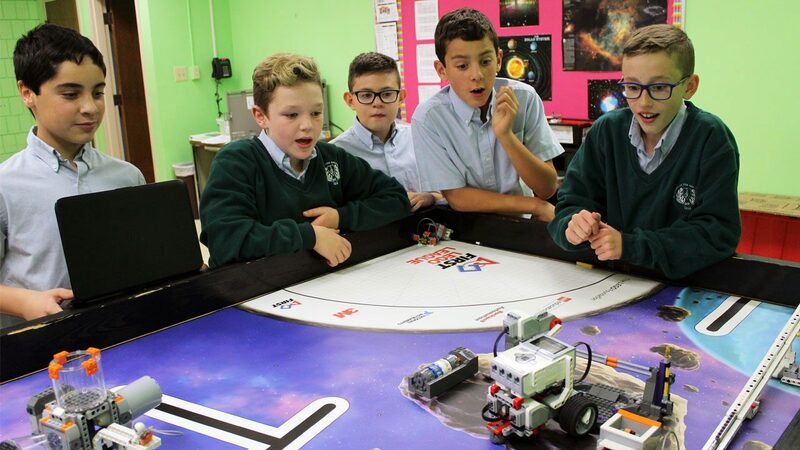 The first is to build and program a Lego Mindstorm EV3 robot to perform missions on a challenge mat related to this year’s FLL theme, Into Orbit. Second, teams research and solve a real life problem related to living in space for an extended amount of time. Our teams have chosen to tackle laundry in space, exercise in space and virtual reality glasses to bring life on earth to the ISS. The girls team skyped with a NASA rocket scientist to learn more about their topic of laundry and the boys met with Mr. Yates who discussed the technical side of virtual reality. The final aspect of the tournament focuses on Core Values, professionalism and teamwork.